We have several students to recognize this week for their outstanding contributions to our school and community! 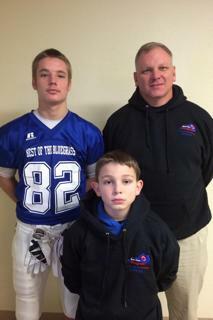 Barrett Croslin, a senior at RHS, was chosen to participate in the Best of the Bluegrass Football All-Star game. This game is played annually and matches a team of state players against a team of Louisville-area players. Coach John Myers was chosen as an assistant coach for the team and John Carter Myers, a student at Stevenson Elementary, participated as a water boy for the team. Barrett had several defensive tackles during the game, which was played on Dec. 14 at St. Xavier. Congratulations to Barrett on this prestigious honor and for representing RHS very well!!! The high school BETA club traveled to the state conference in Louisville on Friday. 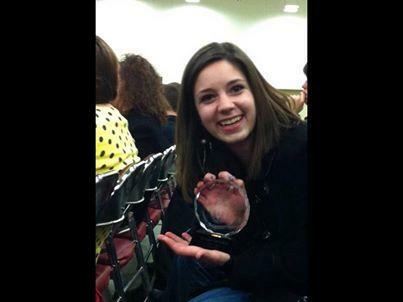 While there, Sydney Herndon, a senior at RHS, was given the John W. Harris Leadership Award. Only 25 of these awards are given annually to high school BETA students in the NATION!! We couldn’t be more proud of Sydney and this accomplishment. Sydney also placed 1st in the on-site colored-pencil drawing event. The Living Literature group placed 3rd overall. Emilie, Sydney and Ethan are eligible to attend the National Conference in Richmond, Va. Congratulations to these hard-working students and thank you to our BETA Club sponsor, Mrs. Tanya Mullen. 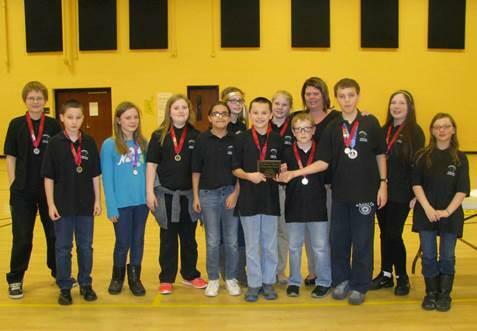 From Ms. Tina Shoemake: I am so VERY proud of the RMS 6th grade Academic Team-2nd place overall in 6th Grade Showcase tonight-2nd place in Quick Recall, individual written assessment winners: Science-1st place-Matthew Wilkerson; Social Studies-2nd place-Ben Slack; 2nd place Written Composition-Brandy West; 4th place Written Composition-Allison Sadler; Arts & Humanities-6th place-My Duyen Tran. A huge thanks to Ms. Shoemake and the numerous faculty members and parents who tirelessly worked for two nights to ensure this event happened smoothly! 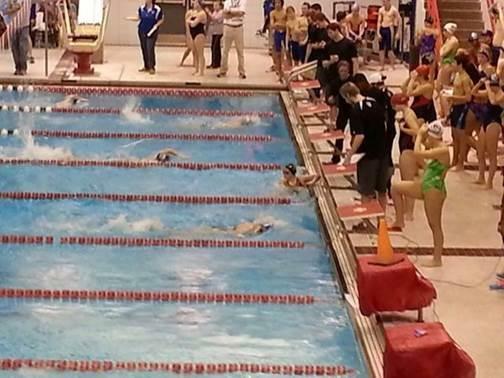 The swim team was in action over the weekend at WKU for the Hilltopper Invitational. All of the swimmers improved upon their personal best times, according to Coach Toni Hall. RHS sophomore Kate Bouldin placed 6th in the 200 freestyle and 9th in the 50 freestyle. Other swim team members include Eduardo Rodriguez, Fernanda Rodriguez, Cole Celsor, Milam Watkins, Fraley Watkins, Benjamin Slack, Jessie Wilson and Dillon Porter. This young team is continually improving and striving for excellence as they prepare for upcoming meets! This will be our traditional Christmas Concert. It will feature the 5th Grade Band from Stevenson, the 6thGrade Band, 7th & 8th Grade Band, RHS Jazz Ensemble and the RHS Concert Band. It’s always a great way to get you into the holiday spirit and the price can’t be beat….It’s FREE. This year we have a special Christmas Concert featuring Rosemary Cundiff-Brown, Chris Kramer and the RHS Jazz Ensemble. Rosemary and Chris will be singing all sorts of holiday favorites and the Jazz Ensemble will be performing as well. This is a benefit concert to help raise money for the band’s trip to perform at Walt Disney World over Spring Break. Tickets are just $5. You can contact me or a band student if you’d like to purchase tickets. We will also take admission at the door. Hope to see you at one or both concerts.